Join us at the BE Group to hear this amazing healer and spiritual leader talk about his abilities and the practices around his teaching. He will provide some random scans that evening for attendees, much like a gallery event. We will also lead a transformative meditation. During this transformative healing meditation, attendees will learn to make contact with the energy of body, mind and spirit to help heal themselves and others and further refine their intuitive sensitivity. The emphasis will be on a life-meditation that encourages continual spiritual connection and awareness. Master Gregory’s meditation will also include his energy dance visualization, working with the healing energy streams of the Earth. Master Gregory is the author of 3 books and his books will be available for purchase and signing after the event. Note: the BE Group is not a membership group it is merely the gathering that occurs for these presentations the first Tuesday of every month. 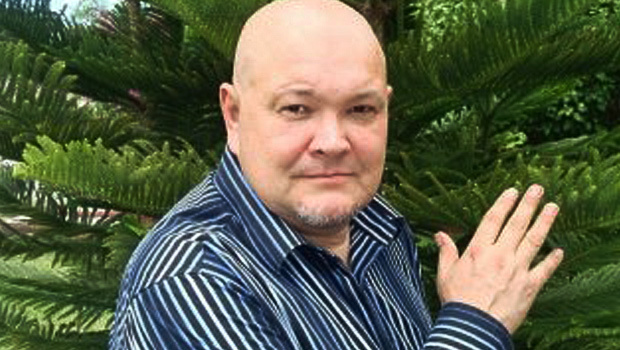 Master Gregory has remarkable abilities as a medical intuitive and energy visionary and can see the systems and organs of the physical body, and energies of the body, mind and spirit (aura). He also does a spiritual and energy scan for each client and can see the origins of many physical, emotional, spiritual and energetic stressors. He can help detect conditions that typically could only be found with MRI or a battery of medical tests. A gifted healer, he uses various methods of energy healing, herbal teas, essential oils and other holistic methods. In a private session with Master Gregory, the client remains fully clothed and simply sits while he “scans” them. He detects conditions that normally could only be found with X-rays, MRI, and a battery of medical tests. He also can work with people who are hundreds of miles away. His “scans” are amazingly accurate (about 94%) and have been demonstrated in rigorous tests. (Any information you receive is not intended to substitute or replace the professional medical advice from your physician. Always consult with your personal physician to discuss any medical issues you may be experiencing). Gregory Antyuhin was born on May 28, 1958, in Russia. After studying at the Medical Institute of Stavropol in Russia, he graduated with an M.D. (Medical Doctor) degree and a specialty in psychiatry focusing on depressive states. He devoted much of his studies to psychosomatic medicine (physical illness caused or aggravated by mental factors) because he believes in the dynamic interaction of body, mind and spirit in a healthy, sound organism. Before coming to the U.S., Gregory worked as the head of a medical clinic in the health resort of Pyatigorsk, Russia. In 1989, he founded the school of alternative, spiritual and energy medicine in Pyatigorsk, Russia. Since 1996, he has offered private consultations as a medical intuitive, and teaches a series of classes on Bio-Energetic Medicine: Your Personal Journey to Health & Transformation. With more than 2,000 students and interns in his international program (North and South America, Bali and Europe), he teaches people techniques for developing their psychic abilities to heal and achieve harmony of mind, body and spirit. Master Gregory is an author of 3 books in English and Russian: “How to be Healthy and Live a Long Life,” “Journey Towards Transformation” and “Shaman Without a Drum.” He has gained worldwide attention as a medical wonder. In 1997, American TV made a program about Gregory’s energy abilities. In 1998, a BBC program called him “Doctor X-ray.” He is also very much a Renaissance Man. His students are constantly being surprised at the depth of his education in science as well as religion, philosophy, literature, spirituality, and other disciplines. Most of all, he is a connoisseur of life; he lives his philosophy. His amazing abilities as a Medical Intuitive allow him to see an energy emanation from the body, mind and spirit (aura). He has 30 years of experience reading this information. During a session he detects what influences—toxins, infections, parasites, stress, radiation, poisons and many other—are causing changes in the body’s organs and systems and predispositions to any dysfunctions. He also senses the condition of the nervous system, the state of the spirit, karma, metabolism, digestion, the condition of the spine and other body tissue. He not only “sees and feels” each organ, but also “sees” the bigger picture for each client. Gregory is also a gifted healer. He uses various methods for “energy healing” particularly herbal teas which are custom-blended for each client, along with essential oils and many other holistic methods. Clients with chronic conditions have found improvements far beyond their expectations. People with life-threatening conditions have been “scanned” in time to get immediate medical attention to save their lives. However, the next steps are most important: he gives clients methods to take control of their own health and well-being and also helps them to heal others! Master Gregory is anxious to share his techniques and knowledge with anyone who is hungry to learn. His classes are unique. Those who have taken his teaching to heart have learned his techniques quickly and effectively. His classes are streamlined so that students learn in matter of hours or a day what would normally take months or years to learn. He monitors the students during their meditations and helps each one to make adjustments in the movement of energy in their bodies. Because each person is unique, each adjustment is unique; and as a result of the individual attention, students leave class with a tremendous feeling of well-being. Those who have met and learned from Master Gregory have experienced significant changes in their lives. Not only are they experiencing life’s beauty on a higher level, they are also enriched by sharing their learning with others. He has brought together and simplified a vast repertoire of approaches to energy control that have been developed over millennia by many cultures. His methods are simple but effective. They were developed to help people reach a high level of control over body, mind and spirit. Most importantly, they help make life more satisfying and fun!